Transport expenses for taking to a hospital or moving from one hospital to another are also included in the insurance. The insurance will cover all the expenses for a hospital stay and medications needed due to the above described events. Insurance premium for the above risks and amounts will be about 105 Euros per year or 85 Euros for 6 months. If people wish, they can insure themselves for higher amounts. 2. An international medical insurance for people between 18 and 69 years of age – this insurance covers all countries around the world. People who have such insurance can choose from a list of first-class hospitals around the world and the insurance covers all sorts of medical expenses – hospital treatment, medications, surgery, transplantations, laser eye treatments, rehabilitation and others. For example, if a person is insured for 500 000 Euros, the insurance premium will be between 820 Euros and 1500 Euros per year for people between 35 and 55 years. In Bulgaria it is compulsory to pay for medical insurance to the state – this means that all people working on labor contracts or are self-employed pay medical insurance to the sate. This is also valid for foreigners who start work in Bulgaria – they will have identity numbers of foreigners and can pay health insurance to the state or prove they have medical insurance in their home country, which the Bulgarian authorities may accept as valid in Bulgaria. However, nowadays most of the people also have additional medical insurance with medical organizations, which covers various medical services, consultations with doctors, hospital treatment, regular medical checks, etc. This is organized as a monthly payment for the term of the contract and is usually organized through the employer. 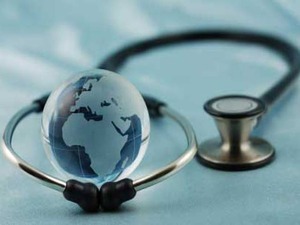 However, individuals, including foreigners can also make contracts with such medical organizations. Health care in Bulgaria is constantly improving, especially now that Bulgaria is an EU member. It is important to mention that medical care is widely available, even in the small settlements in Bulgaria and the most important medical services and care are well-organized.